Close-ups of couples kissing for three minutes each. A subversive experimental short film in which the word "Destroy" is uttered constantly while images on an individual are show with changes colors and the letters T,O,U,C,H,I,N,G displayed. This movie can take you to a completely different world. I've seen it in an empty cinema (Andy Warhol's exhibition in Vienna), with my girlfriend and our friend. He was the only one who didn't fall asleep there. 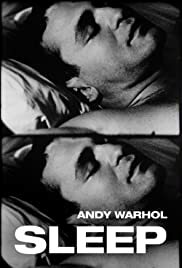 I slept for a while not because it was boring but because I was tired from watching Andy Warhol's Empire (8 hours). It was really one of the most peaceful and clear movies I've ever seen. Watching all the small movements of the sleeping body (John Giorno), the shadows on it and all the details was a nice game that took 5 hours 21 minutes. At the beginning of the show a guy came in and fell asleep in the cinema. His loud snoring was the best soundtrack you can imagine. 39 of 50 people found this review helpful. Was this review helpful to you?